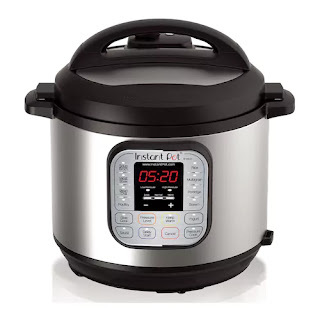 Head on over to Kohls.com where you'll find the Instant Pot Duo 7-in-1 Programmable 6-Quart Pressure Cooker on sale for $119.99 (Retail $139.99). And, you can save an additional 10% off select Pressure Cookers when you use promo code COOKING10 at checkout. Final cost only $69.29 shipped, plus earn $10 Kohl's Cash and possibly an additional $5 Kohl's cash when you choose free in-store pickup! Final cost only $84.14 shipped, plus earn $10 Kohl's Cash and possibly $5 Kohl's cash when you choose free in-store pickup!